Gebelein silver, coin and sterling. 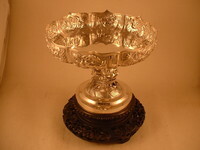 We specialize in early American silver, Arts and Crafts silver and antique Chinese Export silver. Gebelein was established in 1904. 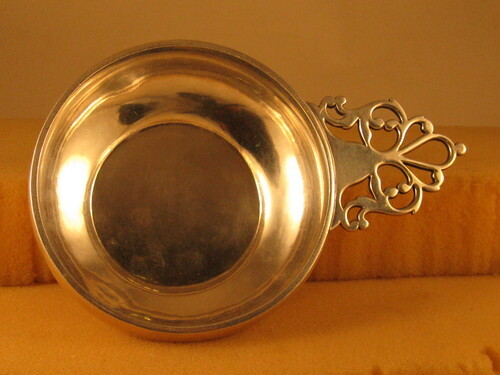 We have coin and sterling silver, both hollowware and flatware. If you have specific needs by maker, place or date, please call or email inquiries as we maintain a very large inventory. Or, in the box called Enter Search Terms Here, enter Gebelein and the maker, place, or other criterion in which you are interested. We accept personal checks and PayPal. We pay postage for shipments within the United States. All items are returnable if you are not pleased with them when you receive them.